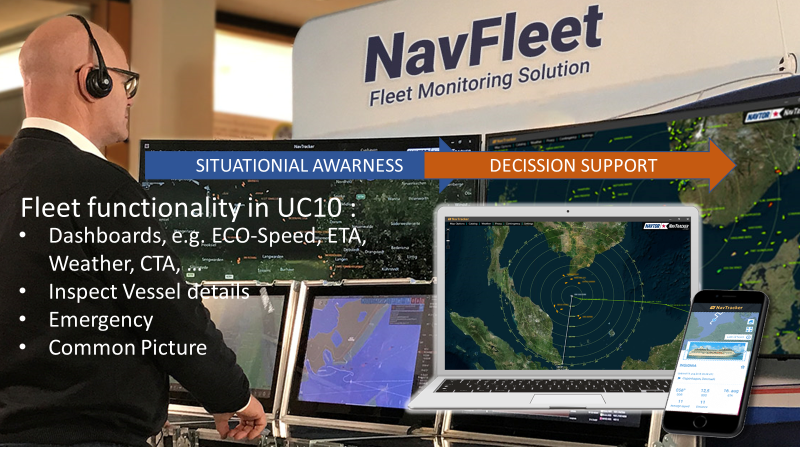 The Enable-S3 Maritime use case (UC10) will investigate and develop simulation capabilities for the purpose of testing the System Under Test (SYT), i.e. the Shore-Based-Bridge (SBB) including route planning, monitoring and ship control systems, in a Test System (TS); i.e. a Co-simulator. Appropriate communication system(s) for ship-shore-ship is required. 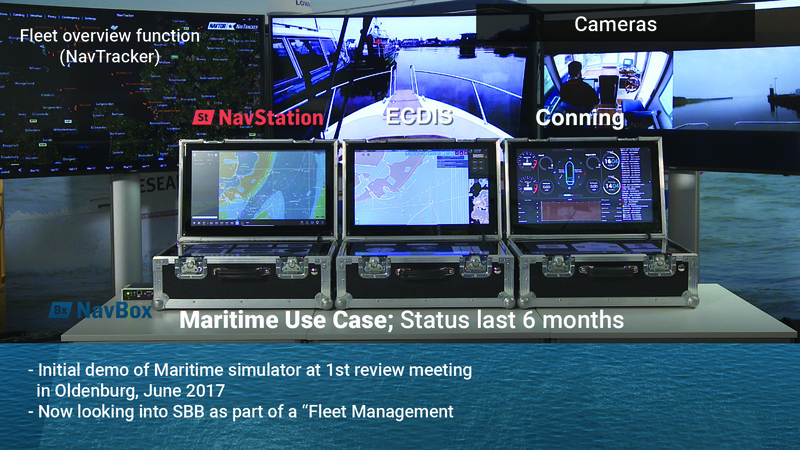 This demonstrator consists of a video showing the “Shore Based Bridge” operating a real test vessel and a live demo of a simulated data exchange Vessel to “Shore Based Bridge” via Satellite connection; a simulation will be achieved by using NMEA simulator, satellite emulator and SBB. A co-simulator for satellite communication between GUT in Gdansk and the Runtime (OFFIS) in Oldenburg. Class-company DNV-GL investigates how ENABLE*S3 scenario-based V&V can be utilised in classification/type approval with the aim to reduce overall testing efforts and costs. A report will be made by end of 2018. 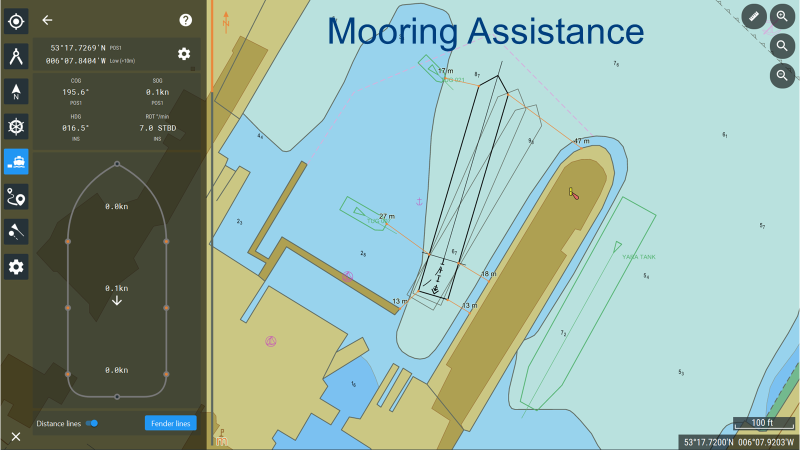 Development and testing of a hand-held display (Moring Assistance) for Predicted path and Docking operations – see figure 2. Report related to Safety analysis is under work. Two Key Journal reports under work related to the Maritime domain; one related to Co-simulation and one related to V&V.